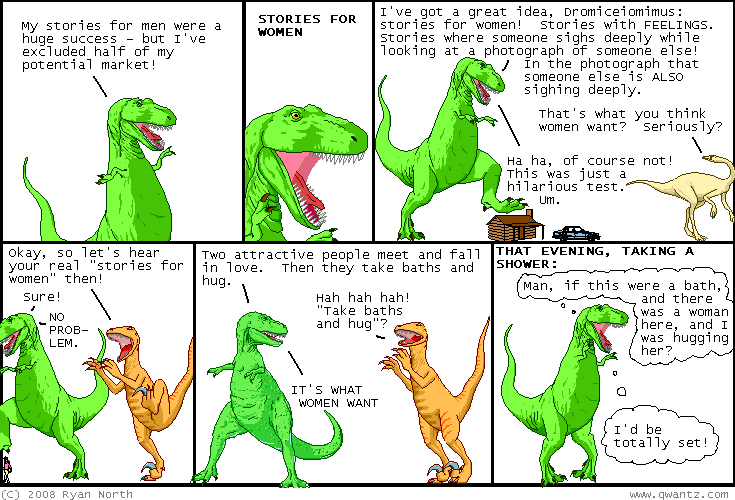 Dinosaur Comics - January 4th, 2008 - awesome fun times! January 4th, 2008: I am lucky enough to have this power, which I will call the Power of Internet Popularity, a power shared by a few other people. With this power I can sometimes just make stuff up, and then this stuff becomes real. It's crazy! But it's also fantastic. Peter Parker tells me to use this power wisely and to that I say, "Sure thing, Mr. Parker!" One year ago today: t-rex wants a mortgage and a nice pair of pants.